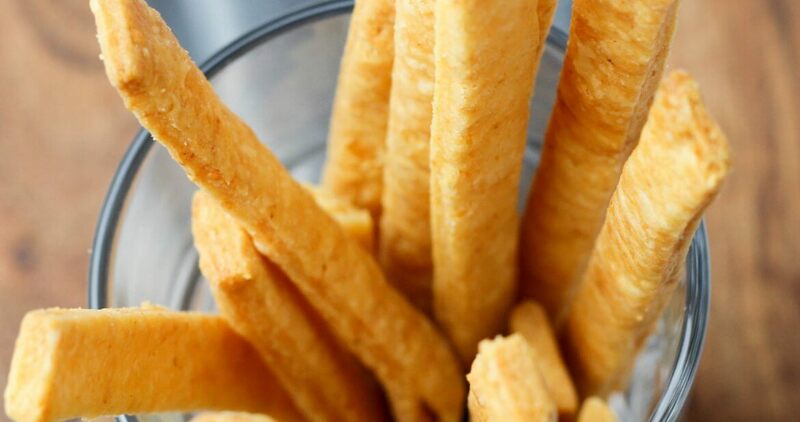 The Christmas adverts have started on the telly, the kids are writing their Christmas lists and I start thinking of nibbles to have with Christmas Eve drinks. 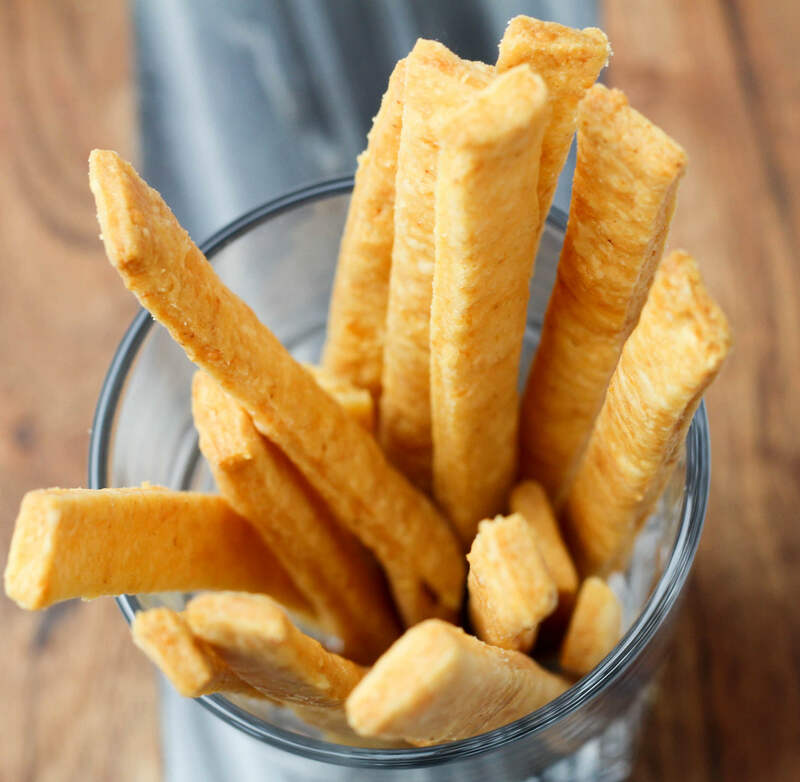 Time to practice the family staple of cheese straws, crumbly buttery pastry with a good hit of a super strong mature cheddar and a kick of smokey paprika, or swap out the paprika for some English mustard powder. Delicious with a cold beer or glass of fizz. Ridiculously moreish , I would recommend making two batches so you have some left when the guests arrive! This recipe with English mustard powder has been around in the family for as long as I can remember but I personally prefer the smokiness of the paprika. Mix the flour, paprika and a pinch of sea salt in a large mixing bowl. Add the butter, rub together until the mixture is like breadcrumbs. Or put it in a food processor and blitz. Add the cheese, egg yolk and milk with a butter or dinner knife, in a cutting motion through the mixture. It should look like damp sand. Bring the dough together into a ball. You may need to add a little more milk to make the mixture come together. Use your hands to gather it into a ball, wrap in cling film / food wrap and refrigerate for half an hour. 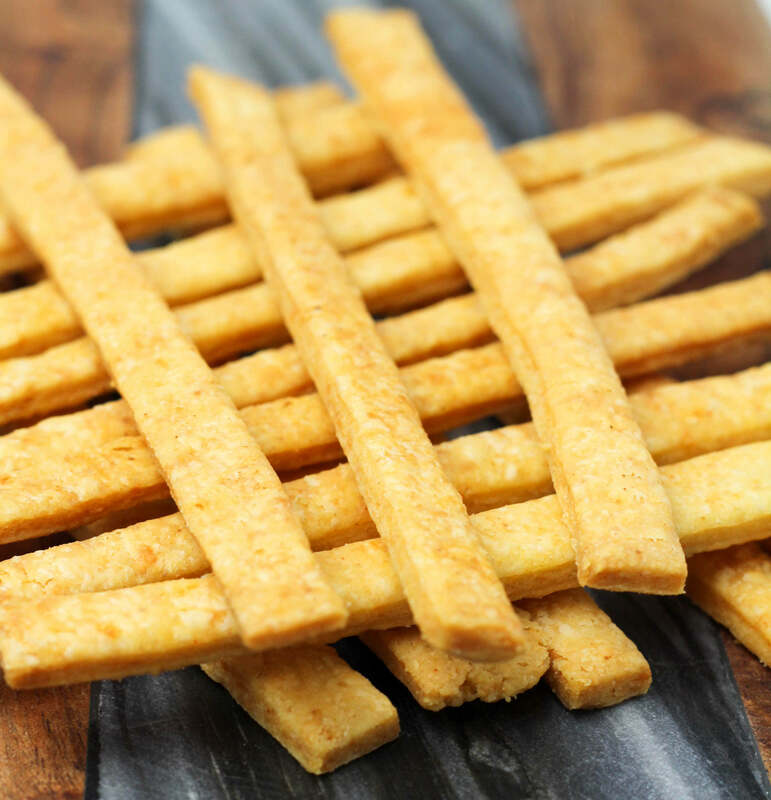 Do not over work the dough whilst bringing it together as the cheese straws will not be flaky. Once the dough has chilled, carefully roll out onto a lightly floured surface. You want them to be quite thin. 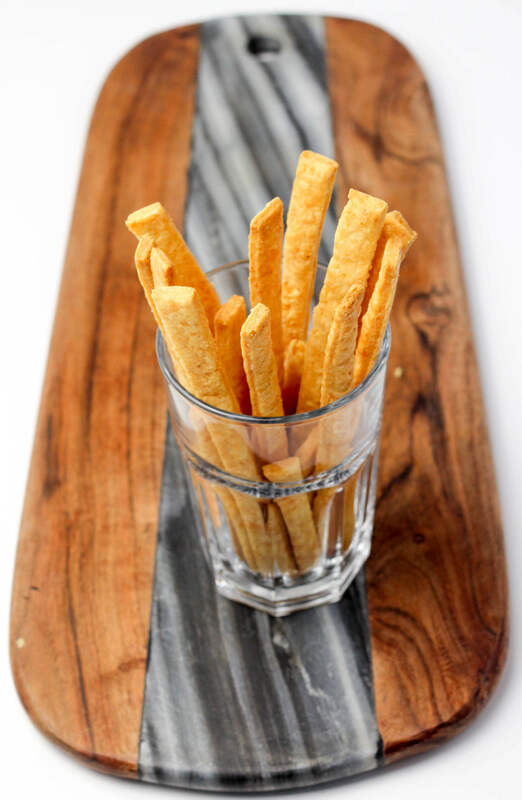 Use a ruler and a sharp knife or pizza cutter to cut into straws, whatever size you fancy. Transfer onto a non-stick baking sheet. Bake for about 10 minutes until golden. Transfer onto a wire rack to cool. A crumbly buttery pastry with a good hit of a super strong mature cheddar and a kick of smokey paprika, or swap out the paprika for some English mustard powder. Delicious with a cold beer or glass of fizz.